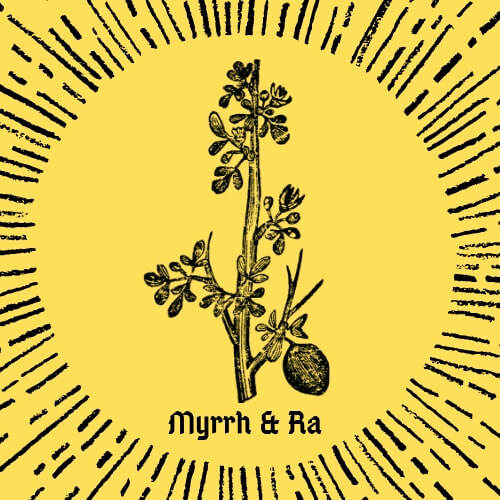 "​Myrrh & Ra" is a collaboration by myself & my beloved partner Myrna Caban Lezcano of Flor y Machete. Sharing what brings us warmth, joy & connection! May you also feel these things & more as you partake in our offerings! We enjoy drinking a hot cup of our Raidiant Golden Milk in the evenings & we think you will too! 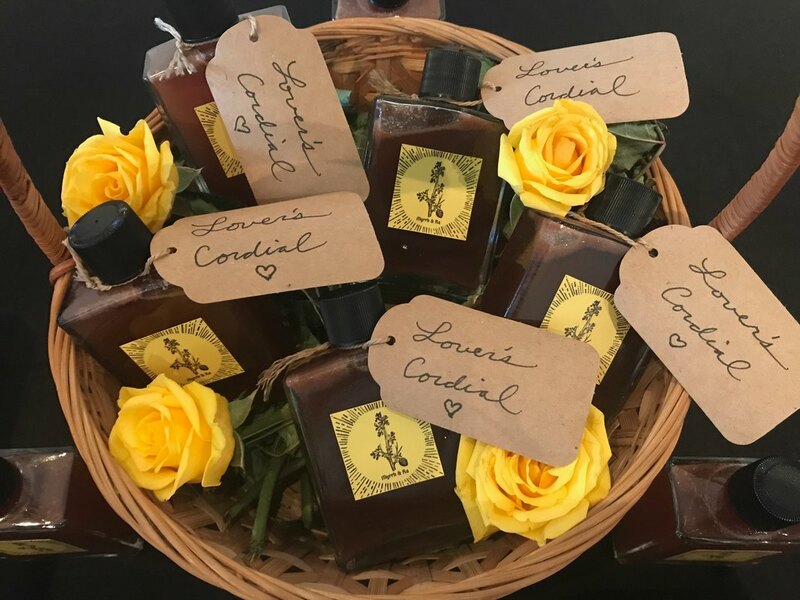 Made with all organic ingredients including Turmeric, Ashwaganda, Ginger, Cinnamon, Cardamon, Clove & Black Pepper. 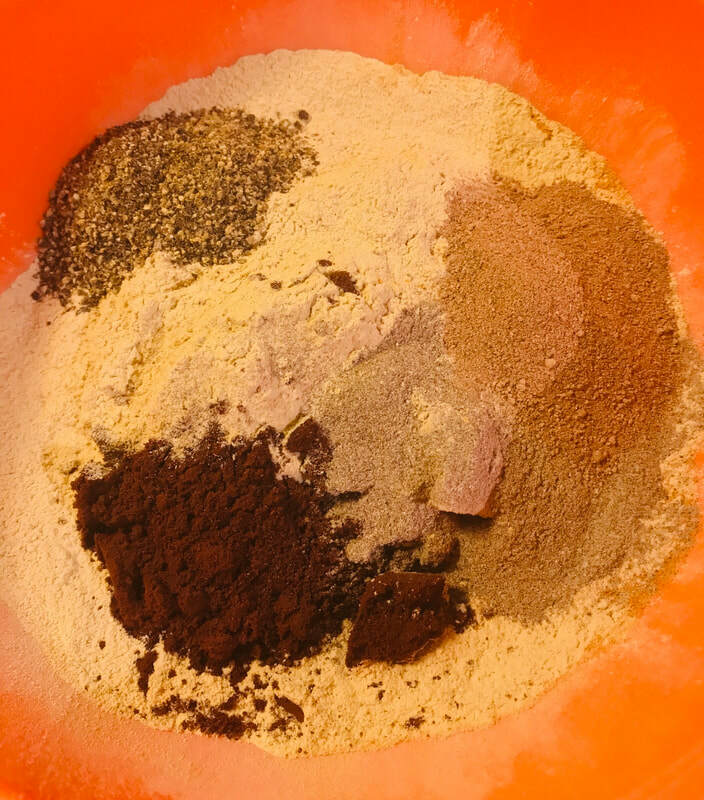 Good for Infllamation, Digestion, Immune System & more! 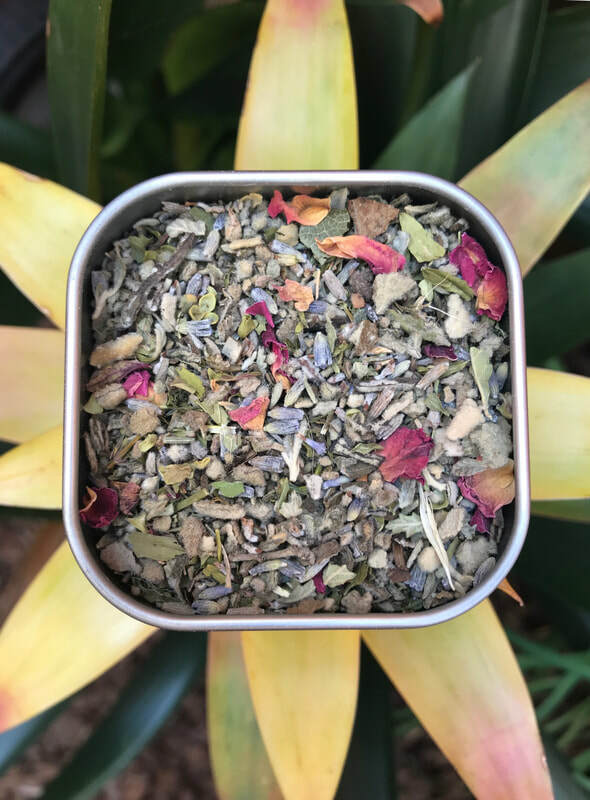 A relaxing & grounding blend of Mullien, Skullcap, Damiana, Rose Petals, Lavender & Bay Laurel!